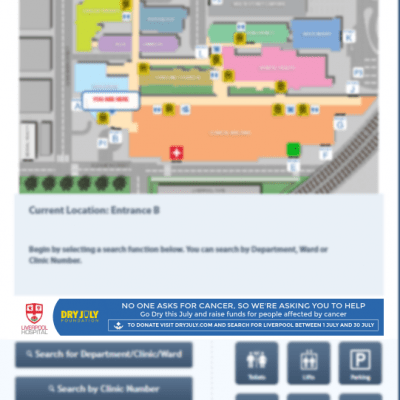 Campbelltown Hospital another large hospital in the Macarthur Region NSW Australia and that spans across multiple interconnected buildings. 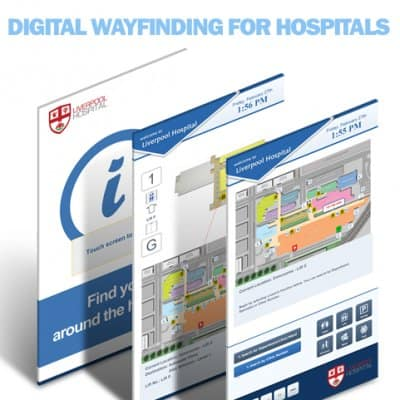 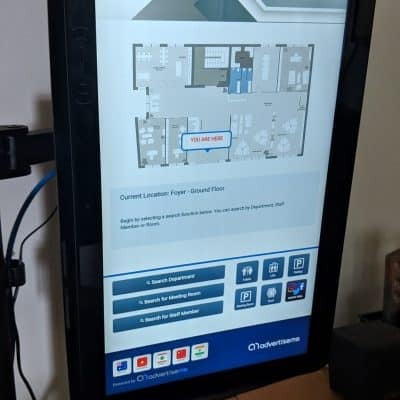 The hospital was recently expanded in 2016 and as part of the redevelopment project Digital Wayfinding was implemented to assist visitors and staff to navigate through the hospital. 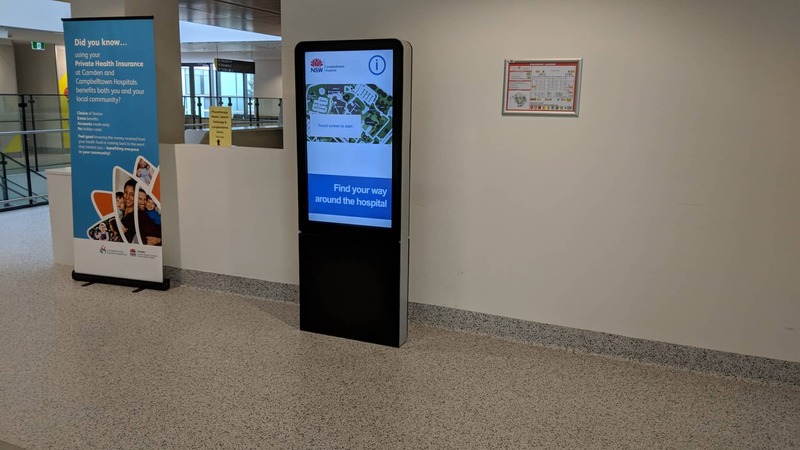 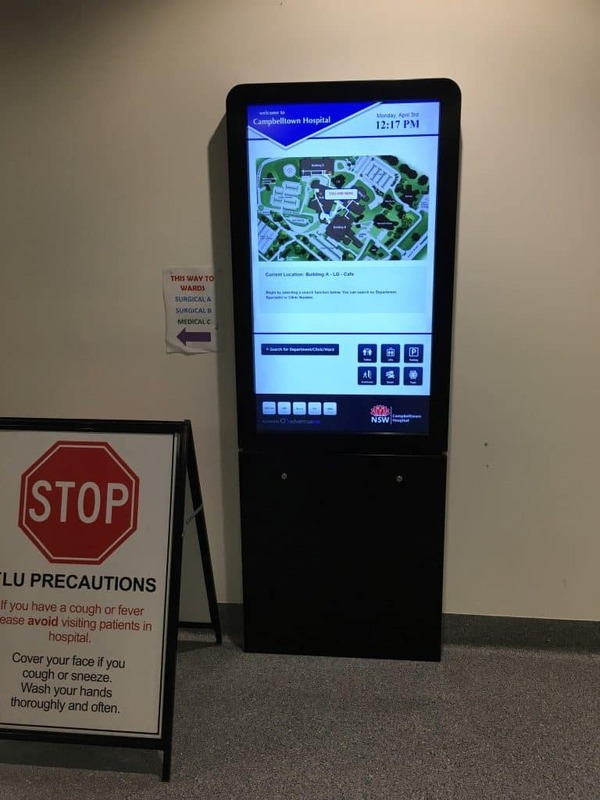 A total of 10 Digital Wayfinding kiosk units were installed across the hospital. 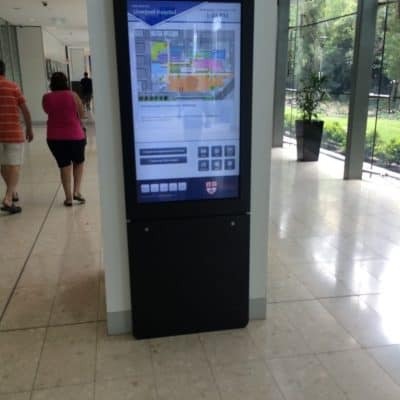 Several Digital Wayfinding Kiosk are located at the main entrances. 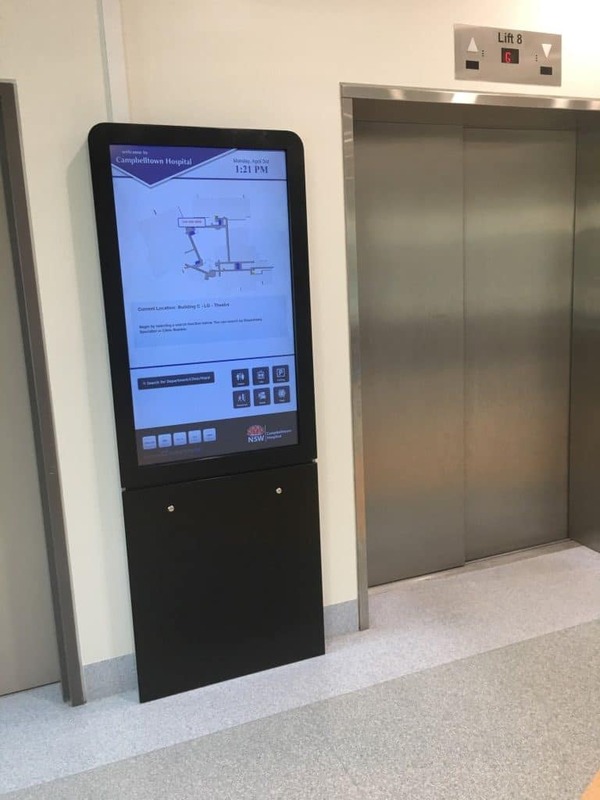 Several Digital Wayfinding Kiosk were also located in near lifts. 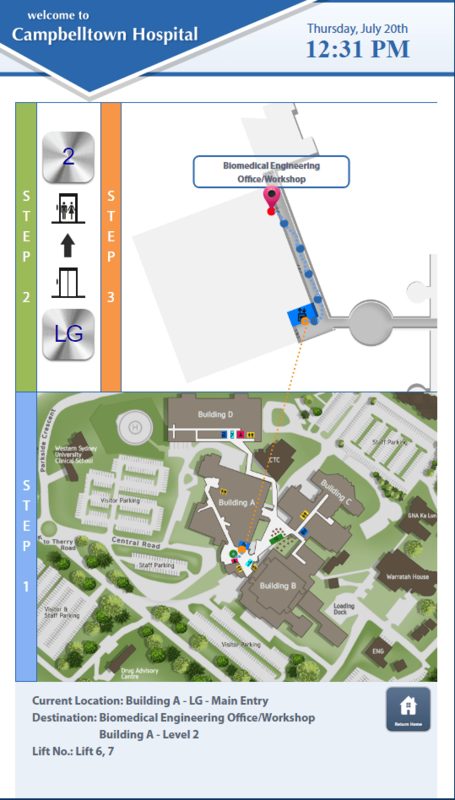 Were you ever lost at a corridor? 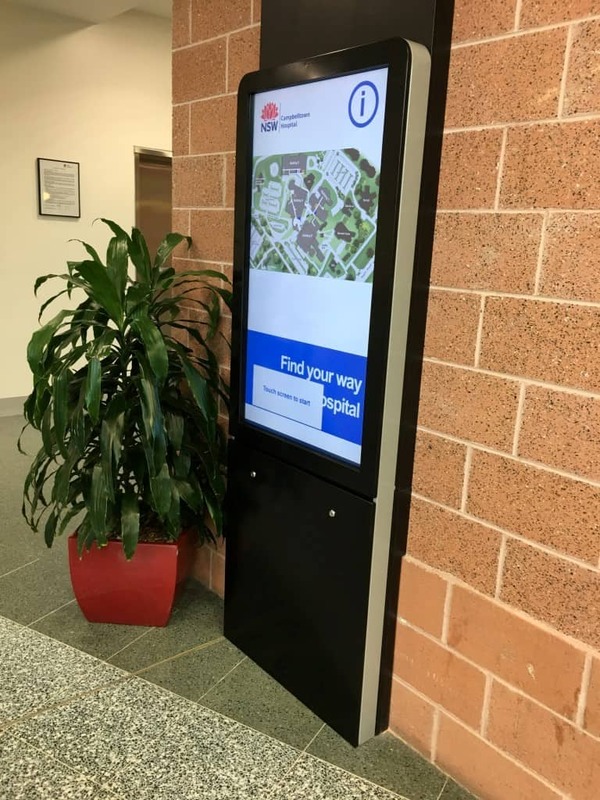 This is another perfect location for a Digital Wayfinding Kiosk especially when there a long corridors that span across buildings. 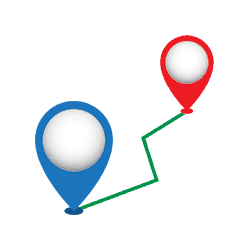 software built using the latest web technologies and uses a similar framework which is used by Navigational Based GPS Systems, Google Maps, etc.